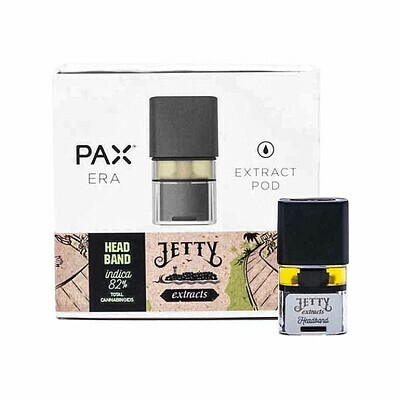 PAX Era Pod filled with Jetty Extracts Headband - a solvent-free gold distillate with 82% Cannabinoids. A hybrid strain sourced from the ridge of Philo, California - Headband is much-loved for easing pain and promoting relaxation. PAX Era Jetty Extracts Pods are compatible ONLY with PAX Era devices, available separately.